UART (Universal Asynchronous Receiver/Transmitter) is an individual (or part of an) integrated circuit used for serial communications over a computer or peripheral device serial port. It is commonly used in conjunction with communication standards such as RS-232, RS-422 or RS-485. For more information on Serial Communications on WinCE platform, click here. On Evaluation Board v3.1A: Connect one end of the null modem cable to the serial port of the PC and the other end to upper RS232 port on connector X25. On Iris Carrier board V1.1A: Connect one end of the null modem cable to the serial port of the PC and the other end of null modem cable to connector X14. Use a terminal application, such as Tera Term to open a terminal connection on the PC with these settings: 9600 Baud/8 Data Bits/No parity/1 Stop Bit. Note: This article refers to general purpose UART usage, not Full Feature UART configured to access the bootloader. /// Configures COM port for specified baudrate. DCB portDCB;                                              ///< COM port configuration structure. /// Opens interface to reader. portDCB.DCBlength = sizeof (DCB);                         ///< Initialize the DCBlength member. GetCommState (*port, &portDCB);                           ///< Get the default port setting information. /// Changes the DCB structure settings. portDCB.BaudRate = baudRate;                              ///< Current baud. portDCB.fBinary = TRUE;                                   ///< Binary mode; no EOF check. portDCB.fParity = FALSE;                                  ///< Disable parity checking. portDCB.fOutxCtsFlow = FALSE;                             ///< No CTS output flow control. portDCB.fOutxDsrFlow = FALSE;                             ///< No DSR output flow control. portDCB.fDtrControl = DTR_CONTROL_DISABLE;                ///< Disable DTR flow control type. portDCB.fDsrSensitivity = FALSE;                          ///< DSR sensitivity. portDCB.fTXContinueOnXoff = TRUE;                         ///< XOFF continues Tx. portDCB.fOutX = FALSE;                                    ///< No XON/XOFF out flow control. portDCB.fInX = FALSE;                                     ///< No XON/XOFF in flow control. portDCB.fErrorChar = FALSE;                               ///< Disable error replacement. portDCB.fNull = FALSE;                                    ///< Disable null stripping. portDCB.fRtsControl = RTS_CONTROL_DISABLE;                ///< Disable RTS flow control. portDCB.fAbortOnError = FALSE;                            ///< Do not abort reads/writes on error. portDCB.Parity = NOPARITY;                                ///< 0-4 = no, odd, even, mark, space. /// Configures the port according to the specifications of the DCB structure. printf("Error Configuring COM Port\n");                 ///< Could not configure the serial port. /// Gets communication time out values. /// Sets communication time out values. PurgeComm(portHandle, PURGE_RXCLEAR);        ///< Clears receive buffer. /// Closes the serial port. After deploying the program to Toradex module, open the Remote Display program. Go to My Device > Program Files > (project_name). 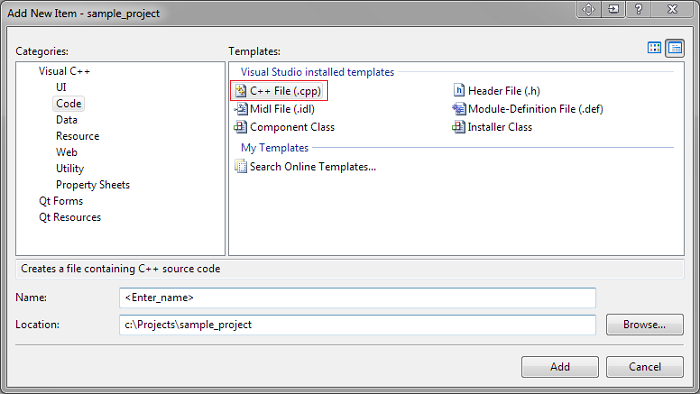 Double click on the (project_name).exe to run the application. Open a Tera Term window and start a new Serial connection with these settings: 9600 Baud/8 Data Bits/No parity/1 Stop Bit. For option 1 (READ), open the Tera Term window. 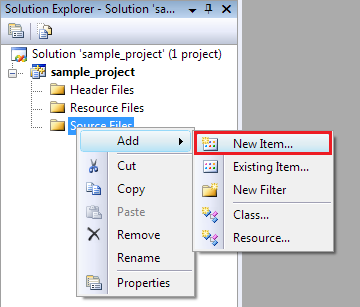 Any character which is typed in this window will be displayed in the application window on Remote Display. For option 2 (WRITE), open the Tera Term window. The string "Hello,this is UART test code" will be displayed on the Tera Term window. Option 3 (EXIT) will close the program and exit. This application demonstrates how data can be read and written from the COM port using Communication Events. Click here for more details. /// Waits for an event to occur for the port. In comparison to 1st demo application above, here you no need to press option 1 (READ) for reading the serial port. Data received on serial port will be automatically displayed on the console window.